It would seem that I’m getting paranoid myself with two back-to-back posts about conspiracies. In truth, it’s merely a coincidence, or synchronicity if you’re in a California state of mind: I was already midway through Umberto Eco’s The Prague Cemetery before I saw and reviewed The East. 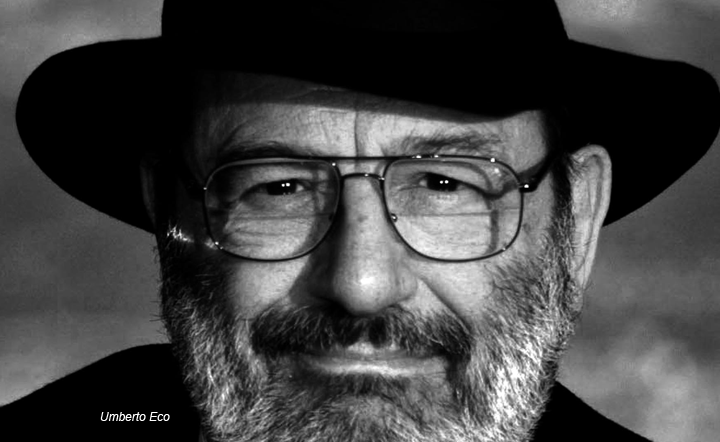 It was at that midway point that I tweeted, “No historical novelist can touch Umberto Eco. How does he do it?” This was before I got to the end and realized, to my horror, that how he did it was by fictionalizing a true story, combining events that led up to the publication of perhaps the single most destructive document in history: The Protocols of the Elders of Zion. For a while early in the twentieth century almost outsold that other dangerous text, The Bible. Not knowing that this was the entire setup of Eco’s book until the end was somewhat embarrassing for me. 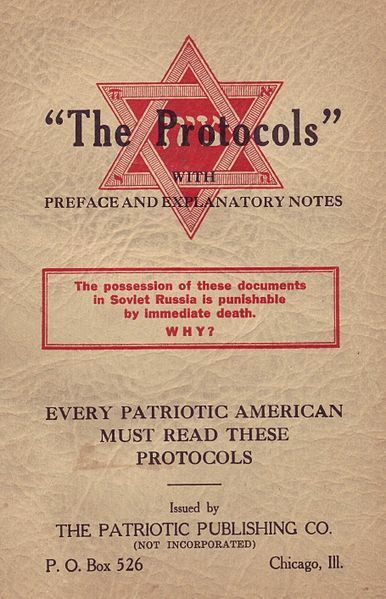 I’d heard of The Protocols but knew little about it, other than it was some s bogus anti-Semitic treatise from so long ago it was no longer relevant. I can be forgiven, however, because I was born way past World War II. Had I been around pre-War, particularly in Europe at the beginning of last century, then my ignorance would have been unforgivable: not only was the book a huge bestseller, it was the instrument that Hitler used to justify his attempted genocide through the Holocaust. 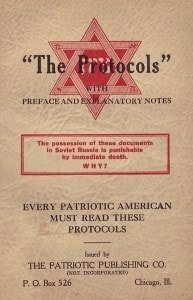 The Protocols details a fictitious, ludicrous meeting between the leaders of the twelve tribes of Israel in the Jewish cemetery in Prague (hence the title of Eco’s book), in which they outline the Jewish/Masonic plot to undermine society and all world governments through a cohesive long-term plan carried out by the alleged shadow government that the Jews have always maintained regardless (and in spite of) the various countries they live in. The devil makes an appearance at midnight to seal the agreed plan with his blessing. Forget the appearance of Satan, the fact that there have only been two tribes of Israel since 722 BCE when the other ten were destroyed should have been enough to make The Protocols even less credible than a geography class taught by Sarah Palin. Indeed, The Protocols was unmasked as a false document by The Times as early as 1921 in an article that was subsequently run in German publications as well. But it made no difference to Hitler or his followers. What adds scarier to scary is the treatise was plagiarized from a satirical book written in the mid-1800s by Maurice Joly, The Dialogue in Hell Between Machiavelli and Montesquieu. The plagiarizing process involved the text going through several iterations before finally being published as fact by a secret service agent of the Russian empire, Pyotr Ivanovich Rachkovsky, in 1903. Rachkovsky was apparently trying to create a false enemy—the Jews in collusion with Freemasons—in order to deflect public dissatisfaction away from the crumbling tsarist regime. This is a clear case of government conspiracy. Did Rachkovsky ever envision that his spurious piece of propaganda would have the devastating result of the ‘final solution’ that was the Holocaust? Probably not, but that doesn’t mean he wouldn’t have agreed with Hitler. The problem with this kind of precedent of real governmental conspiracy is it gives false credence to whacky conspiracy theories like the 9/11 ‘truthers’ or all of those devilish things Obama and his administration are supposed to be getting up to, all in the name of destroying America or suppressing the voice of the American people, or whatever their purported reasons are. For forty-eight hours after the Boston Marathon bombing, all sorts of idiotic theories blew around the Internet, until it became obvious to everyone except those who suffer from incurable paranoid delusions that the Tsarnaev brothers were indeed the culprits. Yes, there was an American version. I agree with Tomasky on this. 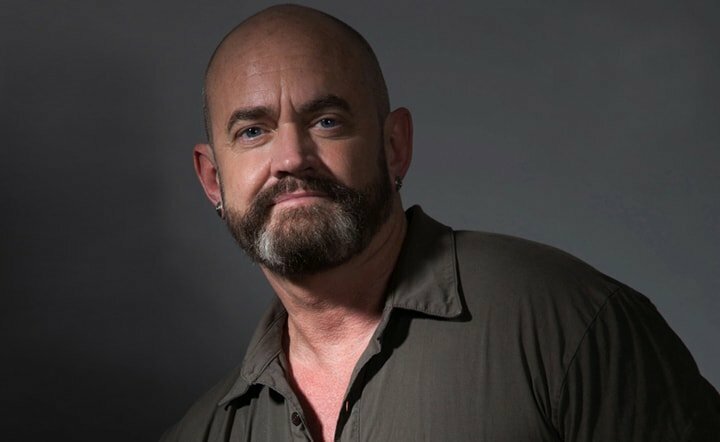 By opposing the administration unilaterally on all fronts regardless of the manifest hurt to the American people—most of the austerity measures that have been forced in place by the House of Representatives have proved to be a hindrance to economic growth—the Republicans are engaged in a conspiracy of sorts. This sort of conspiracy is not on the level of what 9/11 truthers accuse the Bush administration of—it’s way too transparent, to begin with, not so risibly convoluted and impossible—but a conspiracy of sorts it is, even if strictly speaking the word implies secrecy, and the opposition to Obama has been anything but secret. I’ve watched Republicans do this my whole life, from Nixon through Reagan and his Iran-Contra scandal, to the ‘selection’ of 2000 up until the aforementioned stonewalling of the president. Luckily, they are only effective part of the time, and if they are effective it is short lived, and to be fair most of their actions/inactions are at the behest of their constituents. Democrats as a group are too discordant to pull off the sorts of conspiracies the Republicans get away with, the reason being that the Republicans truly believe that the means justify the end: the failure and ouster of Obama. Thankfully, it is failing. At the risk of boring an overly preached choir, I’ll state again that if the GOP would only turn its focus on trying to do something truly beneficial for the American people rather than relentlessly engaging in this blinkered offensive against a worthy leader, then they would make more headway. Eco’s book is narrated by a repulsive, gluttonous anti-hero, Simonini, a mercenary spy and forger operating during the last half of the nineteenth century, a composite character based on a group of real people that Eco paints as being responsible for transforming Joly’s satirical book into the weapon of mass destruction that The Protocols became. While thoroughly engaging, The Prague Cemetery is in many moments hard to read even for a Gentile; the anti-Semitic vitriol that spews from the protagonist is shocking and often subversive. But that’s also what makes it perhaps the most enjoyable of Eco’s five novels. As a professor of semiotics, Eco knows his conspiracies, cults and the occult better than anyone. He desists from filling pages of The Prague Cemetery with those endless erudite tangents that I skimmed over while reading The Name of the Rose and Foucault’s Pendulum in order to get to the plot, which means I read less than two-thirds of those books. Interestingly, my eyes didn’t begin to skim in this novel until, unbeknownst to me, he was quoting from the real Protocols, when it began to sound like Hitler’s take on John Galt’s sixty-odd-page diatribe in Atlas Shrugged, which isn’t such a stretch as a comparison; I suspect Ayn Rand might have read The Protocols at some point in her youth, perhaps even in the original Russian, and might have agreed with much of it—her work is nothing if not seeped in paranoid conspiracies. It’s easy to dismiss the crazies like Donald Trump and the 9/11 truthers, but the problem is that lines can be crossed and the cuckoo birds can become a viable threat, as the unlikely terrible success of The Protocols proves. The Internet has freed up conversation everywhere, it has put all of human knowledge at almost everyone’s disposal—except in those countries where the government conspires against its own people by curtailing basic liberties—, it has forced the world to be more transparent and democratic, but at the same time it has provided a boosted platform from which these crackpots and be heard and believed. Again, I’m not paranoid or anything, but I’m still looking over my shoulder to keep an eye on things. CFDA Awards 2013: ‘Cause Designers Need Awards, Too!